Netflix and Constantin Film have announced deadmau5 will be the creative force behind the film score for Polar. Polar will mark deadmau5’s first time handling the score of a film. Polar was written by Jayson Rothwell (Silent Night) and is directed by Swedish filmmaker and drummer Jonas Åkerlund (Lords of Chaos). The film’s a Constantin Film/Bolt Pictures co-production, in association with Dark Horse Entertainment, and has Mads Mikkelsen (Doctor Strange, Rogue One), Vanessa Hudgens (Spring Breakers, Beastly), Matt Lucas (Alice In Wonderland, Doctor Who), and Katheryn Winnick (Vikings) in starring roles. The action drama’s being produced by Constantin Film’s Robert Kulzer (Resident Evil franchise), Jeremy Bolt (Resident Evil franchise, Death Race), and Hartley Gorenstein (Room). Constantin Film’s Martin Moszkowicz and Mads Mikkelsen, and Dark Horse Entertainment’s Mike Richardson and Keith Goldberg, are executive producing. Netflix has planned a 2019 release. Constantin Film will be in charge of Polar‘s release in Canada, Germany, and China. 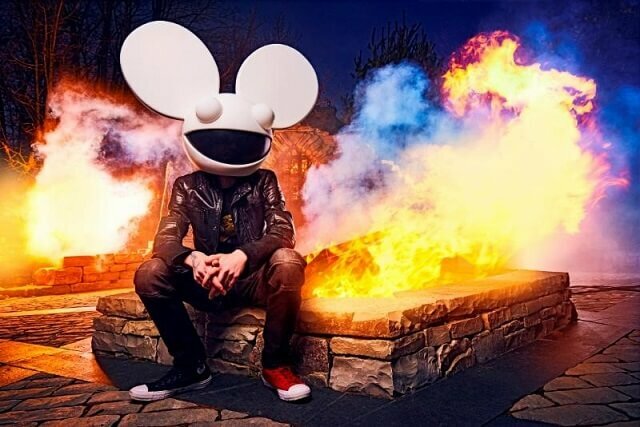 deadmau5 is considered to be one of the world’s most respected electronic music producers. He’s released seven critically acclaimed albums, has won Juno awards, and has earned multiple Grammy nominations.